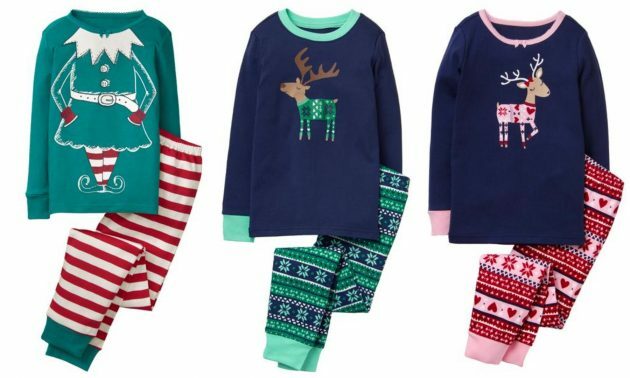 *HOT* Gymboree: Get Kid’s Holiday Pajamas for just $8 each + Free Shipping! This hot deal is back! Right now, Gymboree is offering 20% off your entire purchase when you use the promo code AFFDEC20 at checkout! Plus, shipping is free! There is a wide assortment of girls’ and boys’ holiday pajamas for just $10. Use the promo code AFFDEC20 to get them for just $8 each shipped! Valid today only, December 15, 2017. « Amazon.com: Huge Savings on Books! Thanks for the heads up on this! We LOVE Gymboree pajamas – they are super high quality and hold up to washing!